-In March and April, the fruit is green, round and small; during the summer, the date reaches its final size and it is yellow and soft. It is rich in vitamins but it won’t ripen unless it undergoes the heat of summer and autumn to become fragrant and sweet. For oasis inhabitants, the date is so precious it is given a name at each stage of its growth. -They store and consume them all the year long, It is no longer a sweet meal for them but a basic food and their survival guarantee. -The date is omnipresent in oasis meals. It is supplemented by cereals and dairy products. When the palms grove was the only resource for the sedentary inhabitants of the desert, every adult in the oasis consumed about 200 Kilos of dates a year. To get them throughout all seasons and in order to vary the menus, dates of quality had been selected. There is a typical proverb of ours: “May your day be like date and milk”. Diced/Sliced dates, produced from pitted clean, sound macerated dates, free from fermentation, impurities, live infestation. Rice flour is added to ensure the dice are free flowing. 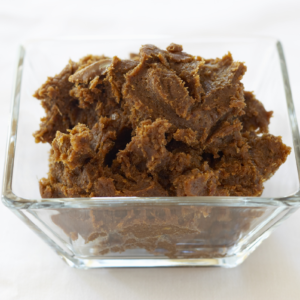 Date paste produced from from pitted clean, sound macerated dates, free from fermentation, impurities, live infestation. 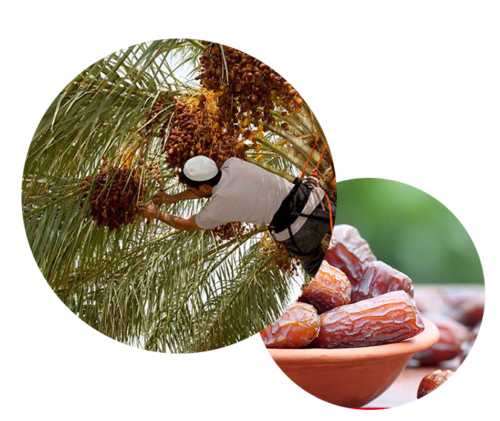 Date powder produced from from pitted clean, sound macerated dates, free from fermentation, impurities, live infestation.